On the internet, you will find loads of fitness myths that can misguide you and make you think that staying fit is very easy. Well my friend, staying fit is not that easy! If it was as easy as some people write in their articles, the world would all be fit by now. You need a certain determination and will to actually lead a healthy lifestyle which will make you fit eventually. There are no shortcuts, so you must go through the ‘sometimes’ painful exercise routines to get fit and fitter. Most people simply stop struggling and start looking for alternatives. This is when the problem actually starts. It is recommended that you do not believe anything written on the internet without double checking it first. 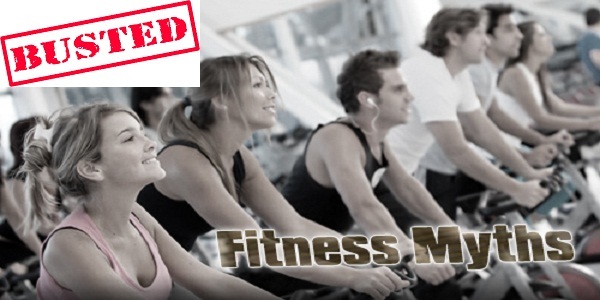 This article will tell you about some of the most common fitness myths and why you shouldn’t believe in them. Some people claim that water is the miracle compound that can help you reduce weight. You may have read that water can help remove poison from the body or that it improves skin tone. Unfortunately, most of these claims have never been proven by science. Drinking lots of water does not reduce hunger either (as some claim). However you might make more frequent visits to the toilet, but that’s about it. Before starting your workout routine, make sure that you do not do any stretching even if a million people tell you to do so. Stretching can destabilize muscles and that can actually decrease your performance. You should only stretch after your workout! Before your workout, do simple warm-ups which will increase blood flow. This is a very common misconception amongst most of the fitness geeks. Eating vegetables is healthy, but not eating meat at all is actually quite dangerous. When you do not eat meat, you also do not take the important nutrients that it has. Small amounts of saturated fat will not affect you too much that you should just stop eating meat. Besides that, meat has got enzymes which can help you fight infection and contains iron which is necessary for high energy levels. So never stop eating meat entirely, only reduce it. This is a big NO! Lifting weights will never make you look like the incredible Hulk, if you do not have a genetic hormonal imbalance or take steroids. Weight lifting can help you reduce weight and can strengthen your muscles. You can also improve your cardiovascular system by building endurance. Sports bras are also designed to keep your breasts firm so they don’t sag. Any activities such as jogging, tennis and aerobics can make breasts sag by weaken the ligaments that keep them firm. Scientifically, the waste products (lactic acid) that settle in your muscles after your workout cause soreness and pain. The wider the blood vessels are, the more waste products will settle. This means that a cold bath will actually help you as it will decrease width of blood vessels. I am quite sure that majority of you guys confused above mentioned fitness myths as legit facts, but actually they are not! As always, I am glad that I could help.